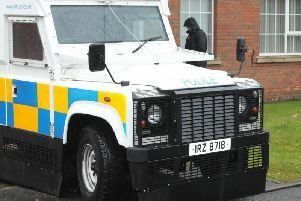 Motorists and pedestrians have been warned about flooding in parts of Lurgan. Part of Edward Street is flooded close to the town centre. Photographs posted by the SDLP Upper Bann show high water levels. The SDLP said: “Please be very careful when driving or walking on Edward Street, Lurgan (Shop side) as both the footpath and part of the road is flooded.